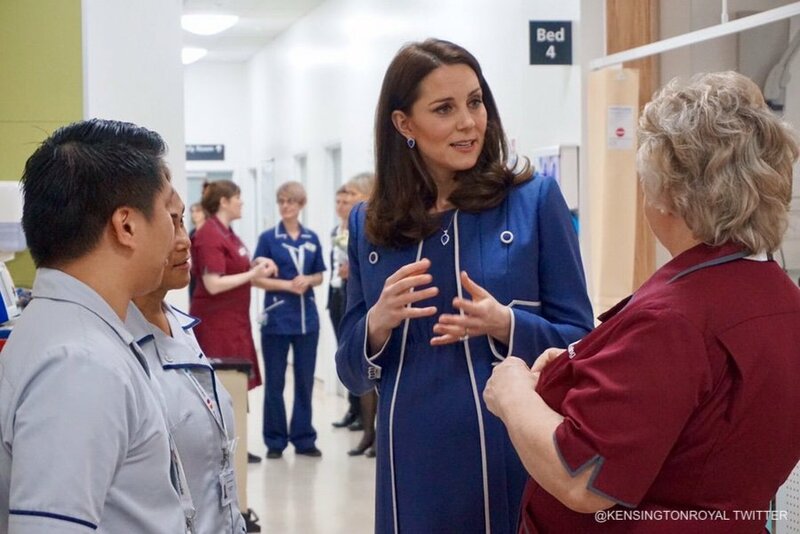 Kate took part in two healthcare-related engagements in London today (27th February 2018). 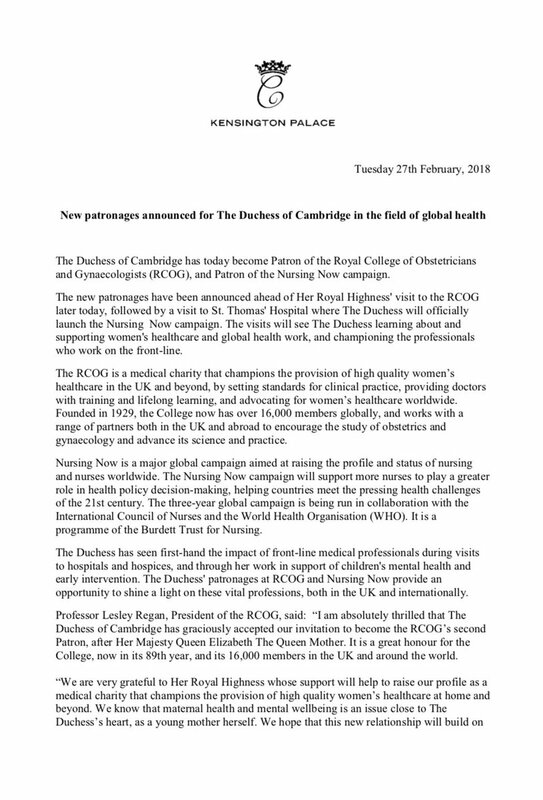 The first took place at the Royal College of Obstetricians and Gynaecologists (RCOG), a medical charity that champions the provision of high-quality women’s healthcare in the UK and beyond. The charity is dedicated to encouraging the study and advancing the science and practice of obstetrics and gynaecology through a mixture graduate education and training, reports and the publication of clinical guidelines. 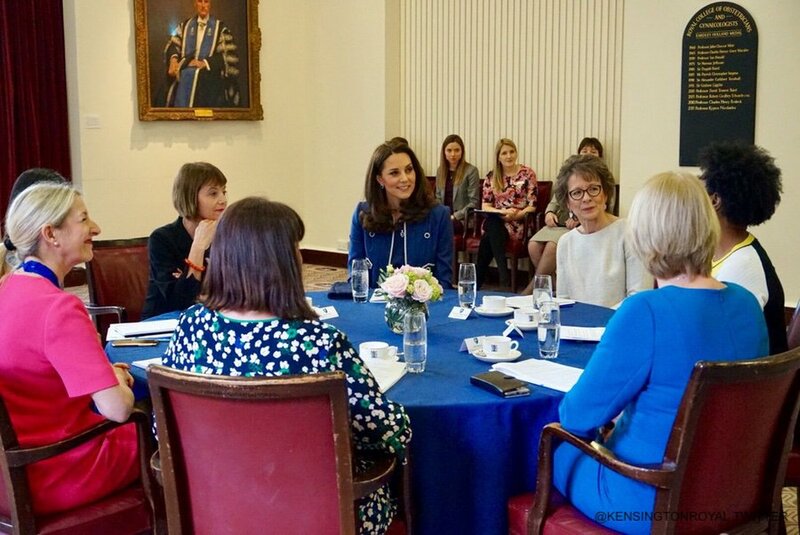 At the college, Kate learned about the organisation’s global health programmes to reduce maternal and newborn mortality rates worldwide. She watched a demonstration of keyhole surgery and attended a roundtable discussion on tackling the stigma around women’s mental health. The second visit took place at St. Thomas’ Hospital. 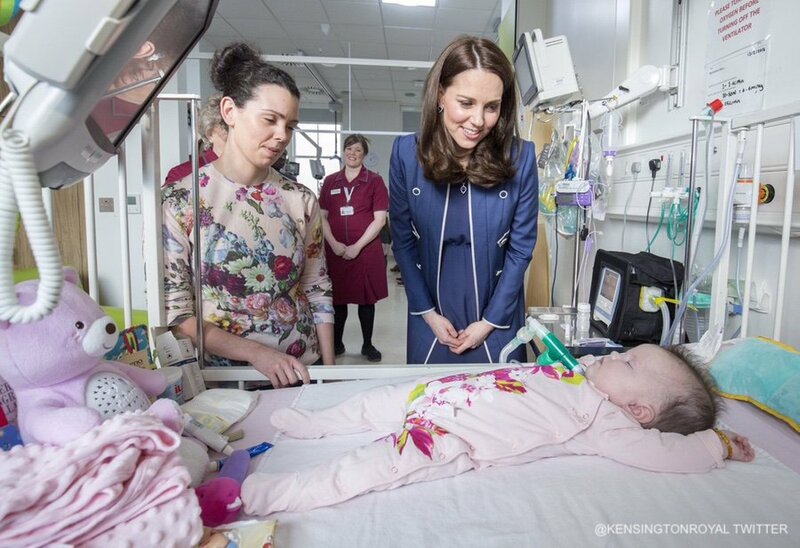 Here, Kate spent time visiting children on a nurse-led children’s ward. 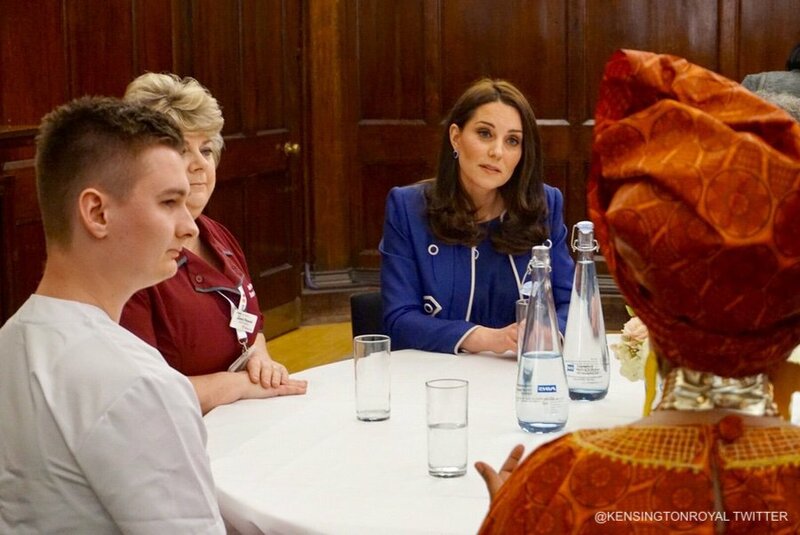 She also joined a roundtable discussion with a range of different nurses across the spectrum of the profession. 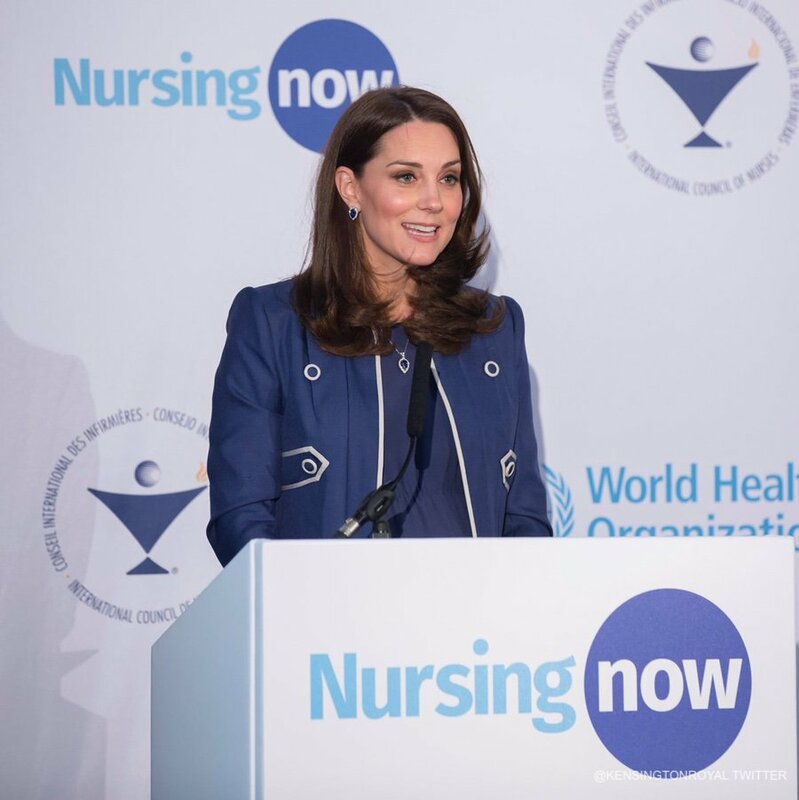 At the end of her visit, Kate helped to officially launch Nursing Now, a new campaign designed to raise the profile and status of nursing and nurses worldwide. Kate marked the launch with a speech. 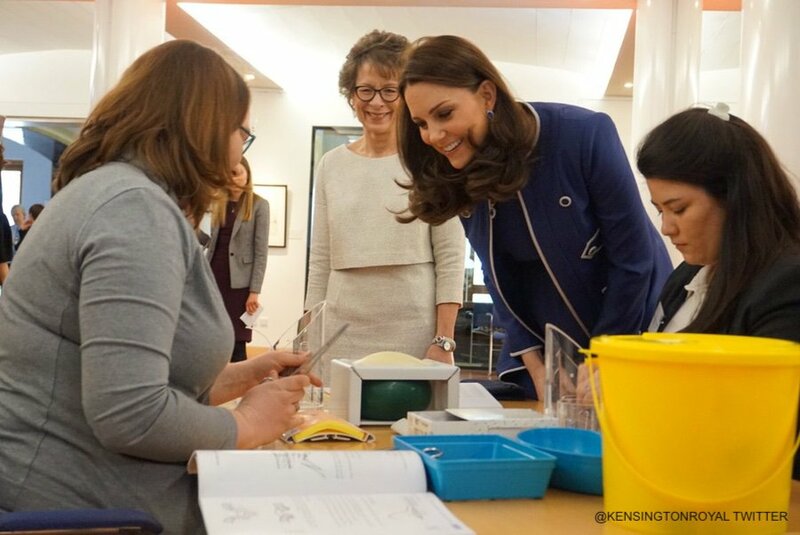 Today’s visits were designed to give Kate a deeper understanding of topics related to women’s healthcare and global health work. This is an area Kate is keen to champion. 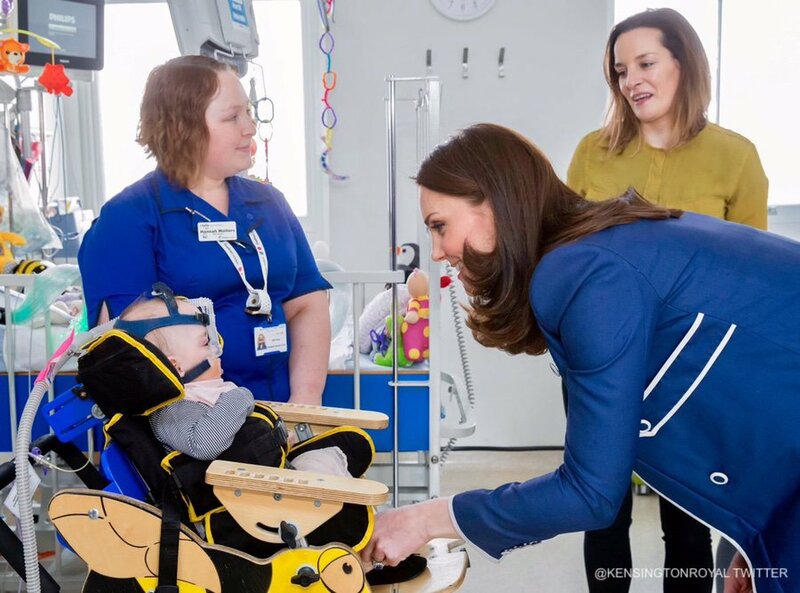 The Duchess has seen first-hand the impact of front-line medical professionals during visits to hospitals and hospices, and through her work in support of children’s mental health and early intervention. 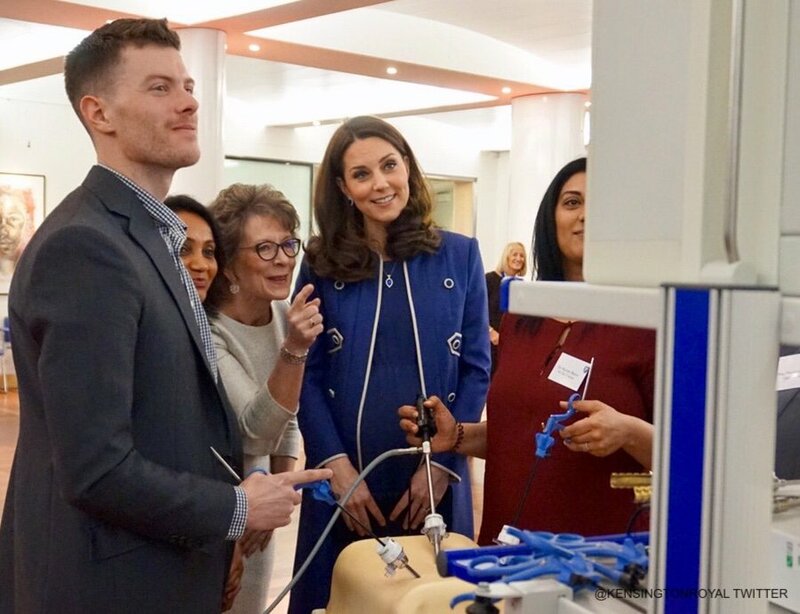 The Duchess’ patronages at RCOG and Nursing Now provide an opportunity to shine a light on these vital professions, both in the UK and internationally – Kensington Palace. These two organisations are Kates 15th and 16th patronages. Richard Palmer (Royal Correspondent of the Daily Express) explains like William and Harry, Kate’s strategy is to focus on a small number of charities, intending to make a difference (in contrast to the older royals, who tend to lend their names to a wider group of patronages). 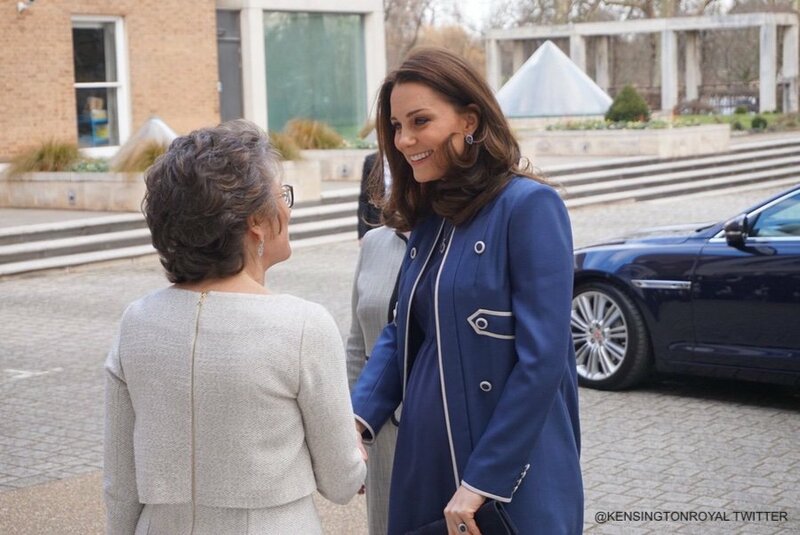 Kate is the second Patron of the RCOG in the organisation’s 89-year history. The Duchess has followed in the footsteps of the Queen Mother. 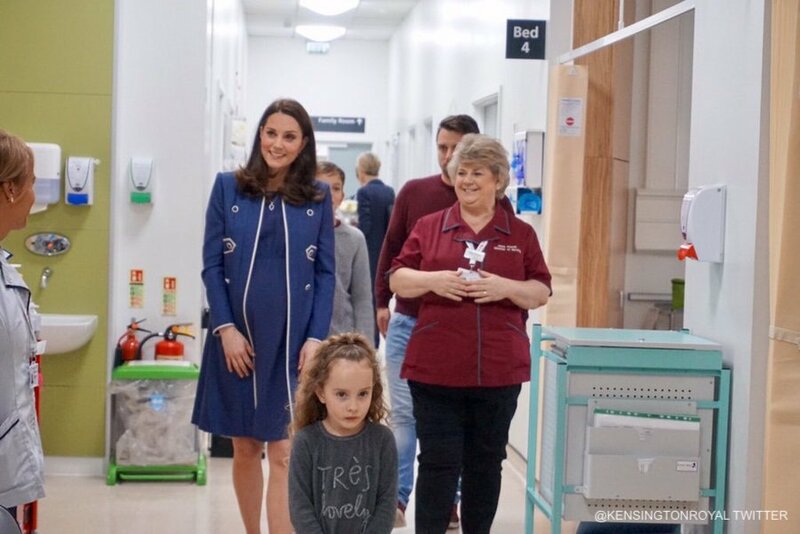 Kate’s chose an all-blue ensemble for today’s visit. According to the Mirror, Kate’s blue coat and dress are bespoke pieces by Jenny Packham. The … coat features a vintage 60’s mod style design, with contrast white piping along the edge, collar, cuffs and two tabs. Each button is blue with white contrast piping and there and 4 buttons on each cuff. The coat is knee length, full lined in silk and it appears to be made of a linen blend. Kate’s shoes are by Jimmy Choo. They’re the Georgia style. 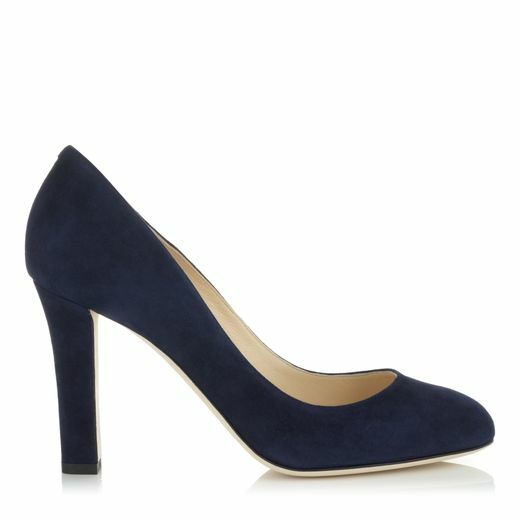 The blue suede pumps feature a 3.5 inch (89mm) column-shaped heel and a round-toe. Kate’s worn the shoes regularly since 2014. Jimmy Choo no longer stock the Georgia style, though the Billie style from the 2017/18 collection is very similar. 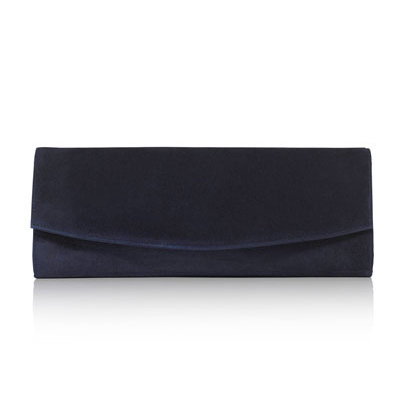 If you’ve followed our blog regularly, you’ll recognise Kate’s blue suede clutch. It is the Muse Clutch by Stuart Weitzman. 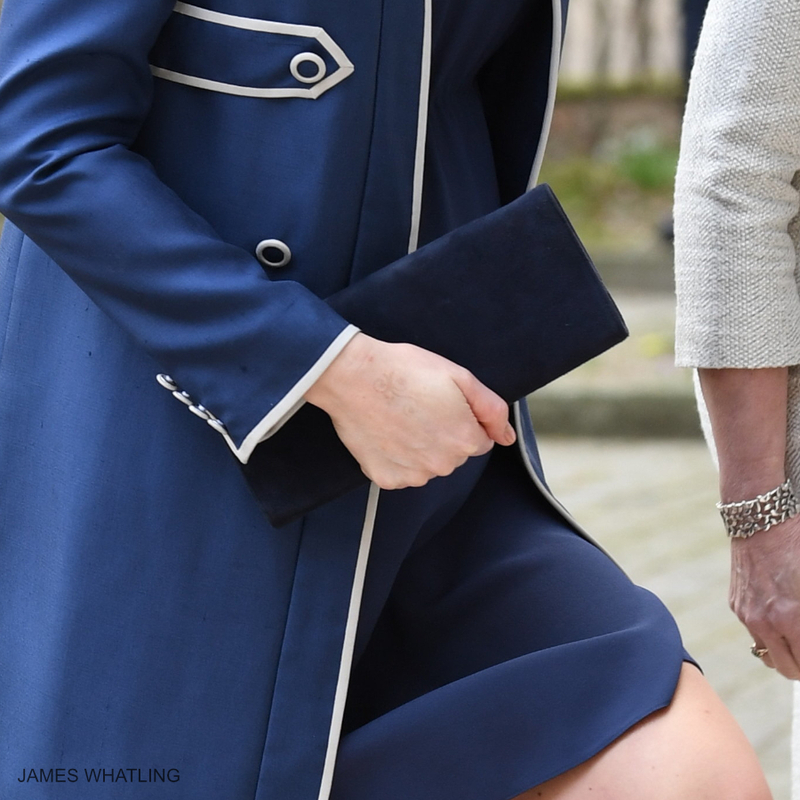 Kate clearly likes the clutch as she owns it in three other colours. 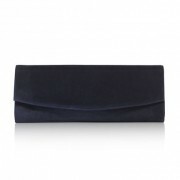 The company have now discontinued this style, but you can shop current season clutches at StuartWeitzman.com by clicking here. 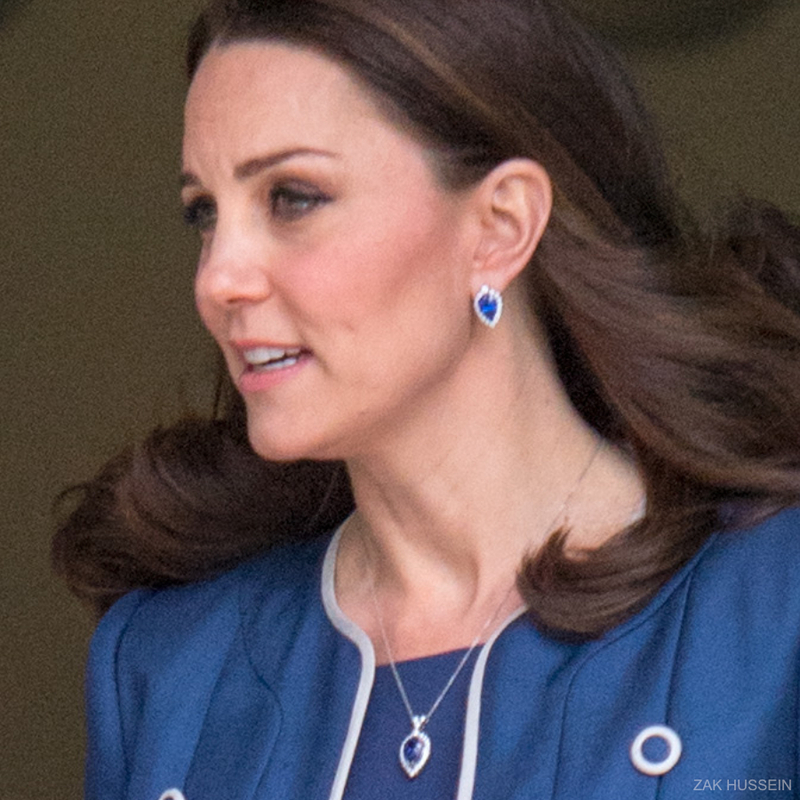 Kate accessorised with her G. Collins & Sons Tanzanite earring and pendant set (similar earrings are shown below). 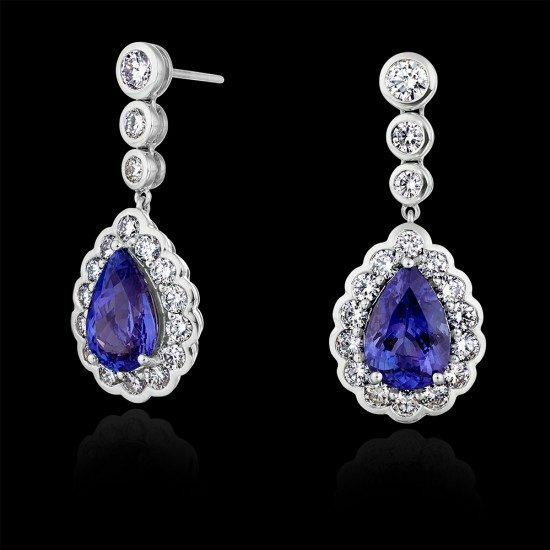 The Tanzanite earrings are set in platinum and are surrounded by diamonds. Kate first debuted the blue earrings in March 2015 during a service at St Paul’s Cathedral in London. she is just so cool, some of the picture when you caught her off guard are just precious. The one taking a walk about with Megan and Harry taken by someone in the crowd , perfect . The look on her face is priceless, I believe she will make William and the Royal family proud.